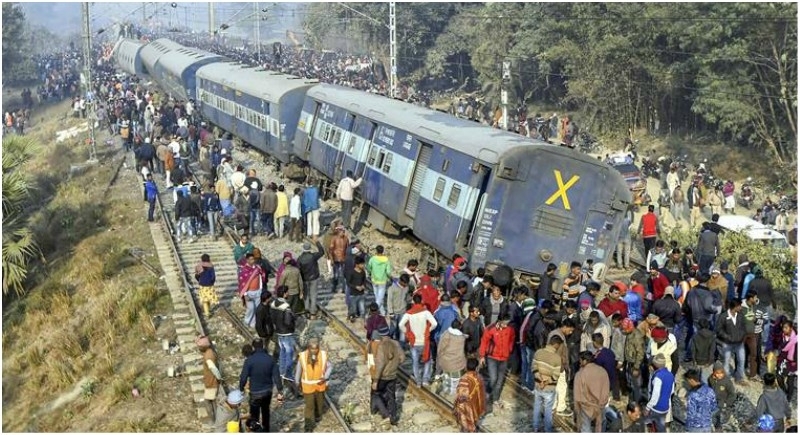 Patna, February 4: In Bihar, efforts are underway to restore train services at the accident site at Sahadai Buzurg station in Hajipur district after the Seemanchal Express derailed in Bihar's Vaishali district on early Sunday. Rail traffic on Hajipur- Bachhwara- Barauni section was disrupted following the derailment of Seemanchal Express in which six passengers were killed. Chief Public Relations Officer said, one line has been made operational and the first goods train passed on this section. Minister for Railways & Coal, Piyush Goyal, has announced ex gratia of Rs. 5 Lakhs each to the next of kin of the deceased, Rs.1 lakh to grievously injured and Rs.50,000/- to persons who sustained simple injuries. Commissioner of Railway Safety/Eastern Circle shall conduct an inquiry into this accident.